Facebook is making a strong showing on mobile devices these days. But sometimes you might want to view videos and photos from your News Feed on a big screen. Here’s how with a Roku. If you have a Roku, you might not know that you can link your Facebook account to it and view photos and videos on your HDTV from your News Feed. 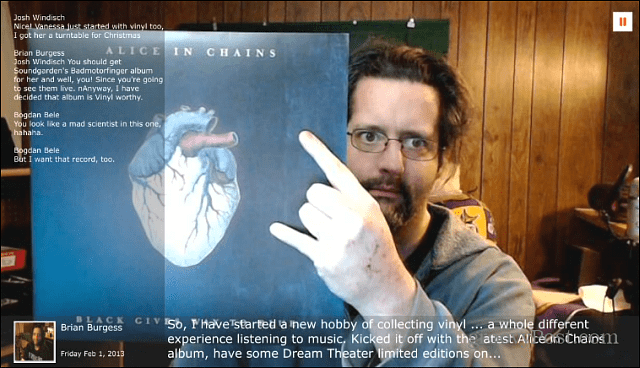 Here’s how to set it up with the free Facebook Photos channel on Roku, and your Facebook page. On your Roku, download the Facebook Channel if you don’t have it already. Launch it, and you’ll get an activation code. 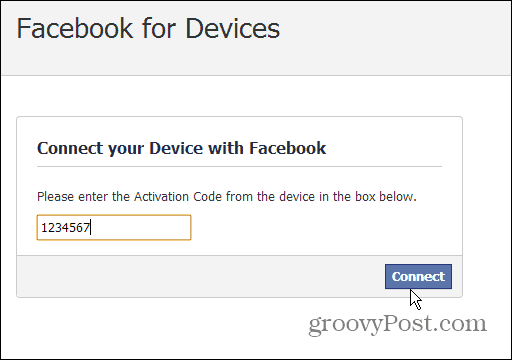 Next, on your computer, open a browser and go to the Facebook for Devices page and enter in the code. You’ll need to give Roku access to your Public Profiles. After that, on your Roku you’ll be able to access your videos, photos, friends’ photos and videos, news feed videos, and more. 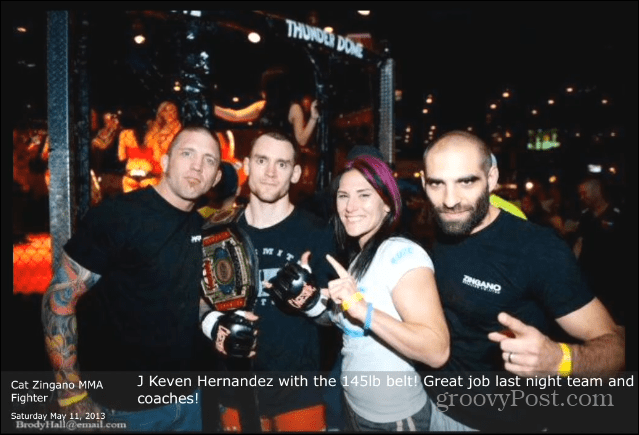 Photos will be presented in a slideshow view, with a new one displaying every few seconds. Of course you can also use your remote to shuffle through them too. 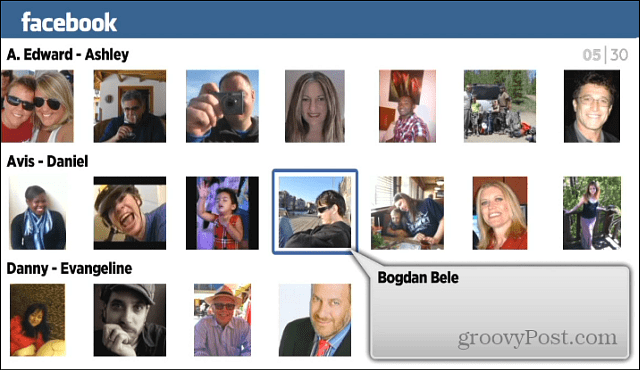 If you pause your photo collection you can see comments that your friends have made on them. In Settings you can change the amount of time between photos, slideshow resolution, and even select different types of slideshow background music. How do I disconnect FB fromroku? i can not watch netflix now! 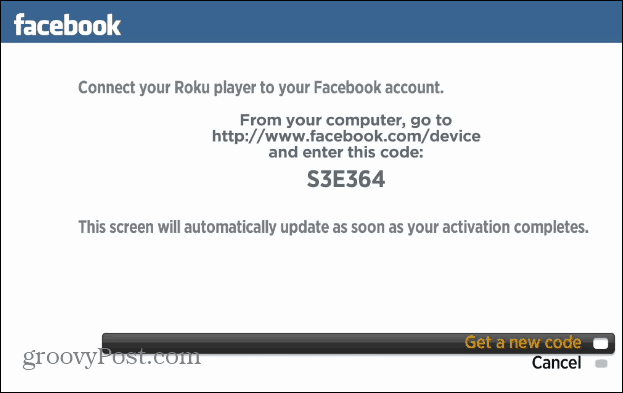 Try deleting the Roku app in your Facebook settings.Log in to Facebook and look for the word App. I CANT SEE MY PICS JUST MY FRIENDS PICS WHY? I can’t see my pictures either. My setting screen doesn’t look like what was presented. 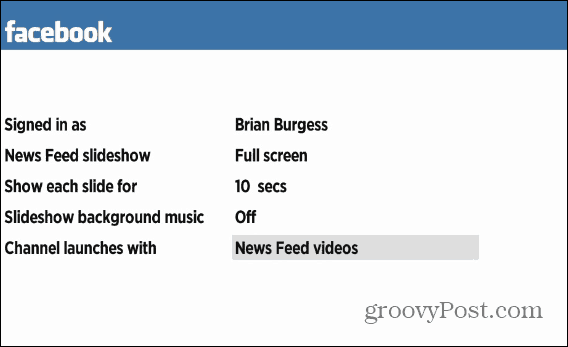 It does not contain the news feed slide show or slide show background music options. What’s up?